Infallible Techie: How to setup Federated Single Sign-On Using SAML in Salesforce? 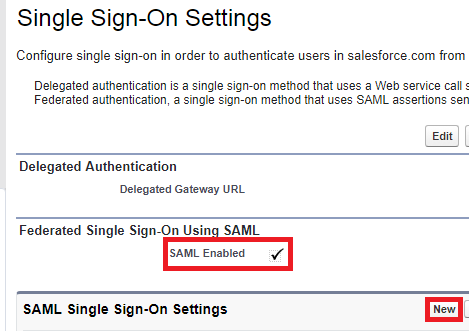 How to setup Federated Single Sign-On Using SAML in Salesforce? 2. Enable SAML Enabled in Federated Single Sign-On Using SAML section and click New button in SAML Single Sign-On Settings to configure section.